Veggie burgers are my new thing. They’re healthy, they’re guilt-free and they’re just sooo good! 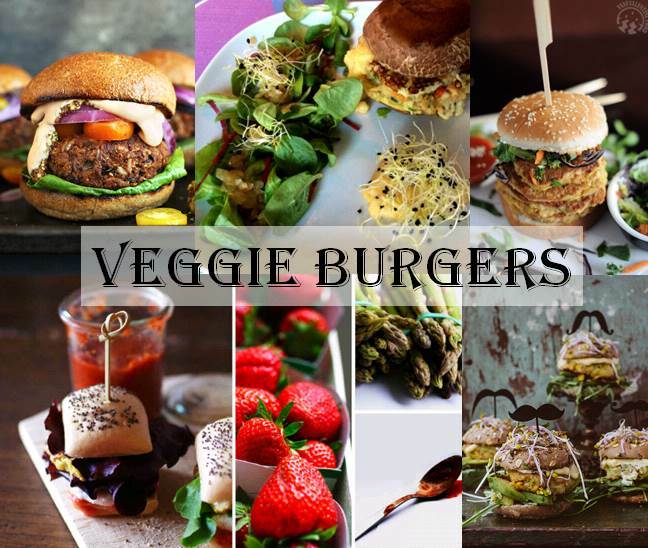 I know, I know, you’re probably thinking “Veggie… Burger??? What’s the point in that? !” The point is having one of your favourite fast-food made nutrient-rich and good for you. Vanessa, from Vanevalentine made Red Lentil Burgers that are rich and gluten free! Marta, the well-known Princess Misia, delights us with a kids’ favourite: the Zucchini and Sweet Corn Burger. Curiosity killed the cat, but will certainly not kill my stomach! When I read “Veggie burger with strawberry sauce” I thought “I have to try this!” Let’s see what the kids think of this recipe from Midinettes. This one I absolutely have to try! Halloumi in a burger and topped with caramelized onions! Where have been all my life… ? Thanks Bobo Brussels! Ok, this last one is not from our community… but Minimalist Baker’s grillable veggie burger looks so mouth-watering that I had to share this last one with you guys.